I just completed my 10th year of ministry in the California State Capitol! I praise God for the many wonderful things He has done over these years. As I go forward now to serve Him in this way in year eleven, I'm so thankful for how He is continuing to open doors for me to reach out to, encourage, counsel, and teach His word to state legislators, state leaders, department heads, capitol staff, state employees, lobbyists, and others. But wait a minute. Did that list just include lobbyists?! Absolutely! God loves lobbyists! He cares about each one of them and is calling them to know Him and follow Him and enjoy his great plan for their lives and work. In case you don't already know, a lobbyist is someone who is paid by an organization or company to advocate on their behalf before lawmakers. There are about two thousand registered lobbyists in California, plus many hundreds (maybe thousands?) of others who have a similar role but are not required to register. 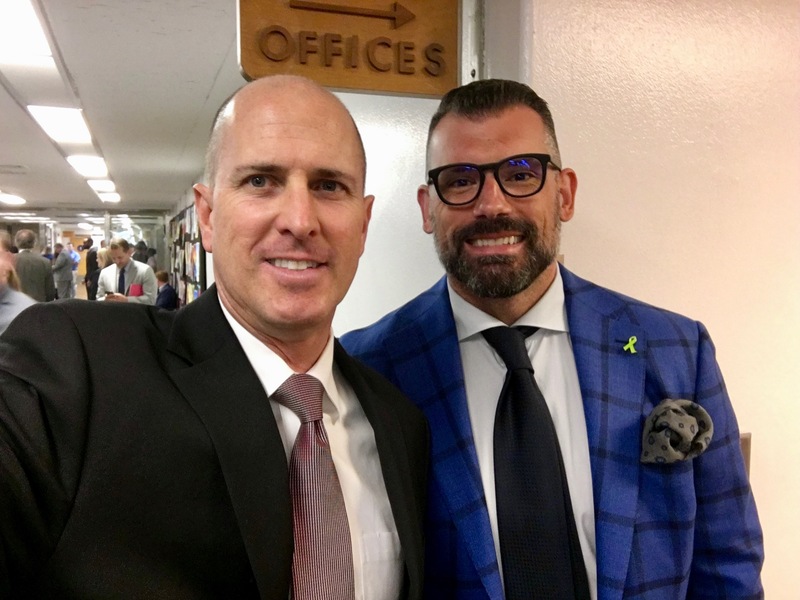 In addition, there are a huge number of executives, administrators, support staff, attorneys, legislative analysts, and so on who work behind the scenes in lobbying, aka advocacy, firms or organizations or corporate departments in our state. They occupy many of the largest buildings around the State Capitol and represent everything from small mom and pop businesses to enormous unions and multi-national corporations. Lobbying is certainly a major spect of modern American government. In fact, it would be difficult to overstate the influence of lobbyists today, which is why they are sometimes referred to as the “third house” of our American governmental system, alongside the two houses of the legislature known in California as the Assembly and the Senate. Outside the Capitol, lobbyists are not always regarded so highly, to say the least. In fact, in an annual Gallup poll ranking professions by their perceived honesty and ethics, lobbyists consistently come in last place, and some speak of the whole system as nothing less than legalized corruption. Regardless of this, I think you would really like some of those who work in the lobbying/advocacy profession if you got to know them personally as I do. They are definitely an interesting group. They must be intelligent, since they grapple with complex issues and legislation on a daily basis. They are usually very well educated, many with degrees in business, political science, or law. They are outgoing, since their job is all about communication. They are well-dressed, since their days and nights include frequent meetings with powerful clients and lawmakers. They are well-connected - some are even former legislators themselves. And, of course, they are often well paid. Furthermore, lobbyists are everywhere at the Capitol - literally. 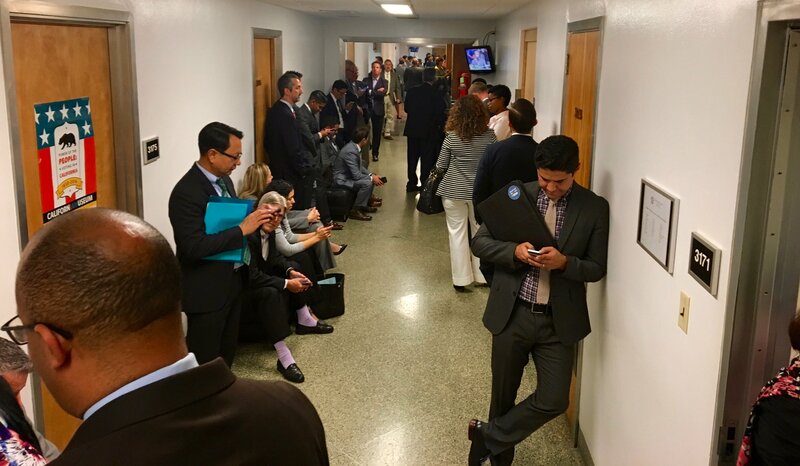 On a typical weekday in Sacramento, legislators and their staff are rushing to keep up with back-to-back meetings with lobbyists, often a different meeting every 15 minutes. 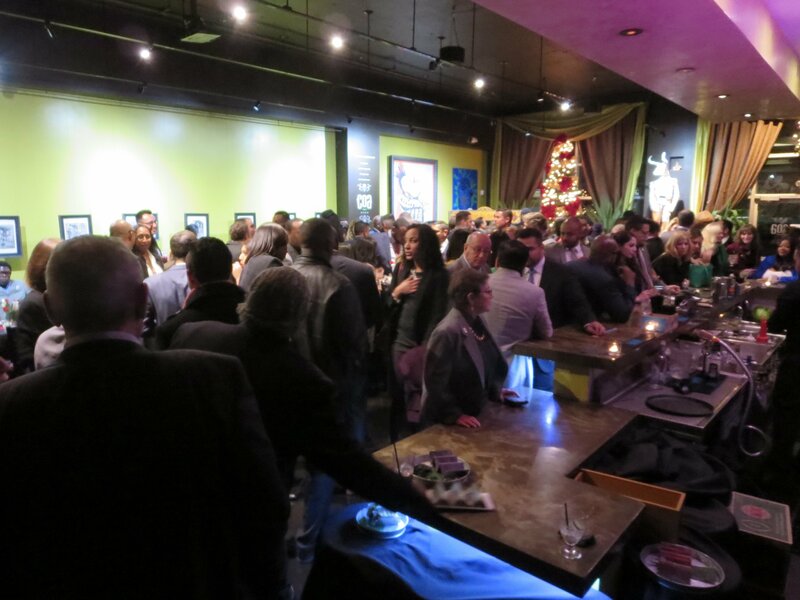 And most evenings, the many downtown restaurants and bars that surround the Capitol are packed wall-to-wall with lobbyists attending or hosting legislator events. Like legislators, lobbyists are faced with continual temptations. Their daily work requires them to be around ridiculous sums of money, extreme power, late night parties, unlimited alcohol, and crowds of good looking outgoing people who in many cases are staying in hotels away from their homes … and they are there to figure out ways to convince people to change their minds. Hmmm …. seems like a setup for moral downfall doesn’t it? Lobbyists and legislators pack a restaurant near the Capitol. With this background, you can understand why I reach out to lobbyists, and why I get excited whenever one of them decides to truly follow Jesus. Whenever this happens, God is glorified and they and their families are greatly blessed forever. And in their work, they aspire to behave in a more ethical and honest and moral way, something quite remarkable considering their environment. Furthermore, the ripple effect of a Christ-centered lobbyist can extend far and wide, since they work shoulder-to-shoulder on a daily basis with many of the most powerful leaders in government, business, and social action. Let me introduce you to just some of the many friends who work as lobbyists or in a related profession. 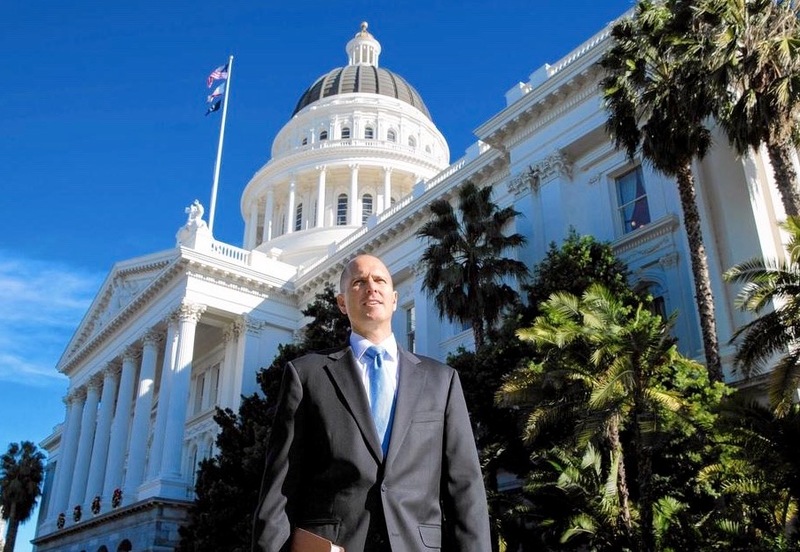 Shane is a lobbyist and a partner with one of the largest advocacy firms in California. He and I met in January when he showed up at our Staff and Lobbyists Bible Study that I teach every Wednesday inside the Capitol. He had heard about our meetings through an invitation I post every week on a Capitol news website. It was immediately apparent that Shane had an unusually strong interest in knowing more about the Lord. He wanted to explore Christianity further, and wanted to see government become more compassionate to the poor and disenfranchised. He continued to attend our Bible Studies every week, and he and I also began meeting often personally over a meal or coffee to talk about God and spiritual things. As I explained more about the good news of Jesus and the Bible, Shane received it with joy. Each week since then, he has continued to tell me about the many new things God is teaching him as he studies through the entire Bible and asks insightful questions. He and his wife and children attend church regularly. To cap it off, Shane, who already has a law degree, recently enrolled in a Masters of Divinity theology program at a Biblically solid seminary, while still working as a full-time lobbyist. His first class in seminary is "Biblical Ethics," which I don't think is coincidental. He has often exclaimed to me that he feels like his eyes are finally opened and he is seeing everything in life more clearly and with greater meaning and joy. Yna (pronounced "Eena") is also a friend in the Capitol. I first met her many years ago when she worked as the front desk staff member for a Democratic Assembly leader who I visited occasionally. She accepted my invitation to check out our Capitol Staff and Lobbyists Bible Study, and after one of our gatherings I had the honor of helping her open her heart to Jesus (see her description of this below). She then moved away to Florida for graduate school, where she confesses that she drifted from God, but years later she returned to Sacramento to be a political organizer, and she now works for a professional association near the Capitol. To my surprise and joy, last year she recommitted her life to the Lord and came back to the Staff & Lobbyists Bible Discussion. She has continued to attend our gatherings every week, which she says provides a rare environment where she can meet with others who understand the unique challenges she faces as a follower of Jesus working in the political arena. And now she says she's seeing everything in a new way and aspires to be more like Christ in her life and work. By the way, her former state legislator boss is also now a lobbyist who attends our meetings. I thank God for how He has been at work in and through Yna! 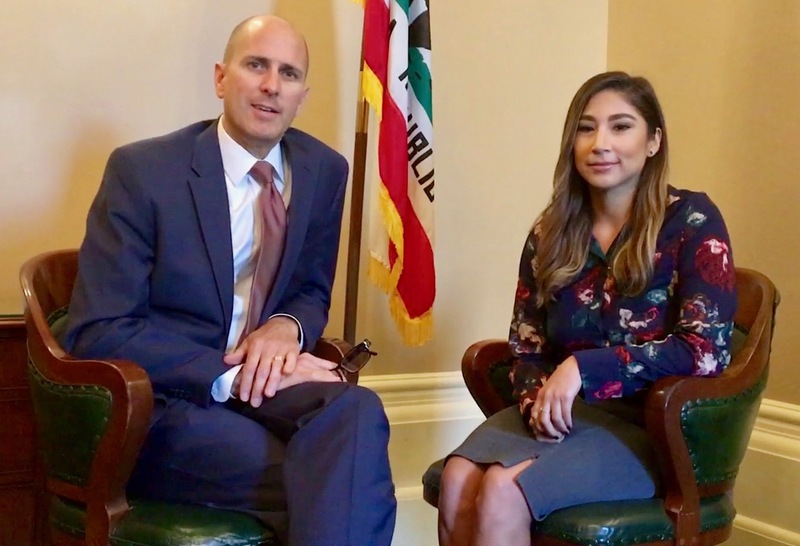 If you'd like, you can listen to a 6-minute audio interview she and I recorded inside the Capitol. Here are more kind testimonies from friends who work in related roles. “The Capitol Bible Study has become very important to me. I have come to consider Frank Erb one of my pastors and I look forward to this time of teaching and fellowship with the friends who are part of this flock. It refreshes my soul when we take a break from our work and join together in the presence of the Holy Spirit to be reminded of the truly important things that transcend this world." - Tim, attorney with a Capitol advocacy firm. I thank God for each of these dear friends at the Capitol, and I’m humbled and honored if I could be of some help to them, and to our state and nation through them. Glory to God! So, the next time you pray for government leaders, how about including a prayer for the lobbyists also?! And thank you for your prayers for me as I work to be of help to them and also to legislators and staff at the Capitol. And I greatly appreciate your ongoing financial partnership that will enable this unique and important ministry to continue in 2019! (Please be sure to specify for donations to go to "California - Frank Erb" if that is your desire.) Thank You!